We feature a quality selection of fashionable eyeglasses and premium lenses. Our office is conveniently located in River Glen Mews Plaza, so it’s easy to stop by and benefit from our exceptional vision products. Our optical staff looks forward to helping you select the best eyewear for your vision prescription, lifestyle requirements, and unique fashion taste! Eyeglasses need to give you sharp vision and a flattering look on your face. All patients, new and returning, are treated with patience and no pressure to reach a hasty decision. Superior customer service is our goal, and we want you to be thrilled with your eyewear and your experience in our Oakville office! We use Essilor, Zeiss, Maui, Hoya, Adidas, Nikon, and Oakley labs. In today’s world, more and more people choose a different way of life and they tend to look for more suitable products - usually tailor-made solutions. ZEISS Lenses deliver best natural vision in any situation. No two people are the same – individuals have different anatomy whilst their style and visual preferences are closely linked to their way of life. The ZEISS Blue-Violet Light Blocking Solutions. DuraVision® BlueProtect by ZEISS is a coating specially developed for people who spend a lot of their time indoors and are exposed to blue-violet light from LEDs as well as TV, computer or tablet screens. ZEISS DuraVision® BlueProtect reflects parts of the blue-violet light emitted by these sources, preventing light from entering the eye. This ZEISS coating reduces the transmission in the spectrum of 380–455 nm (blue light hazard) to a BPI 15 while keeping the high transmission level above 460 nm. Blue-violet light is everywhere, although its intensity varies greatly. While a typical LCD computer monitor produces a brightness of 250 cd/m2, a clear blue sky at midday is 32 times as bright. Direct sunlight can be thousands of times as bright. Reducing myopia progression is an important issue, particularly for children in Asia, where nearsightedness is considerably on the rise. Myopia (nearsightedness) is a visual challenge spanning the globe, occurring across all ages and ethnicities. The root causes of myopia remain a mystery, though recent studies have demonstrated a link between the elongation of the eye and myopia progression. Genetic factors do play a significant role, and Asian children are most likely affected by this visual impairment. ZEISS is introducing the innovative MyoVision™ lenses –indicating a reduction of myopia progression by an average of 30 % in East and Southeast Asian children between 6 and 12 with a history of parental myopia. We usually associate myopia with getting older. In fact, nearsightedness is usually first diagnosed amongst children at the age of 4 to 6 and continues to progress until the mid-20s. Research indicates that myopia is caused by a combination of “nature” and “nurture”. What is even more distressing is that as many as 60% of myopic kids do have at least one myopic parent. Myopia is inevitable and irreversible and genetic defects are still a tricky matter. It is a known fact that myopia most likely affects Asians. Across the Asian continent, myopia is widespread – every second child living in urban populations suffers from myopia. The number of myopes globally is expected to grow from the current 1.6 billion to 2.5 billion by 2020 – an astonishing growth of more than 50 percent. Until recently, the treatment strategies for myopia have concentrated on merely correcting vision. Latest studies have changed the understanding of myopia: correcting both central and peripheral vision is indicating to be an effective way of slowing down eye growth. And this is exactly where the new MyoVision™ spectacle lenses set in. Invented and designed in conjunction with Vision CRC, and marketed exclusively by Carl Zeiss Vision, MyoVision™ works with a simple, yet effective technique called Peripheral Vision Management technology – it corrects for sharp central vision while also moving the peripheral image in front of the retina. Its first research shows an indication that it has an effect of sending a signal to the eye to reduce progression of eye elongation. This state-of-the-art solution shows first promising clinical results. In the one-year-long Vision CRC Myopia Control Studies with 210 Chinese children aged 6 to 16 years with myopia, 50 children out of the 210 were given the MyoVision™ spectacle lenses and 50 children were given standard vision lenses. Amongst the Chinese population, an annual progression between 0.60D and 1.00D in young children is actually quite frequent, so it was a good place to test the new MyoVision™ spectacle lenses. The result was remarkable in a statistically significant subgroup of 19 myopic children out of the group of 50 children wearing MyoVision™ lenses, 6 to 12 years old with a history of parental myopia: worn continuously, the lenses show indication of reducing the myopia progression by an average of 30 percent in this subgroup. The Varilux® X series™ in particular has been designed to meet the ever-changing expectations of Generation X, consumers born between 1965 and 1980, who are highly active, digitally connected and don’t want to be limited by their vision. But it’s also a progressive lens that ensures quality vision at every distance for all active presbyopes. By re-shaping a specific zone in the lens, it overcomes a typical frustration with many progressive lenses – having to adjust one’s head to find the right angle. The Varilux® X series™ lens is the result of innovation in lens design with Xtend™ technology which delivers additional benefits for today’s near vision demands. Combined with a new calculator Essilor is able to design each lens with much greater precision taking into account multiple targets for one gaze direction. Lights at night can create reflections and glare on our glasses. These reflections and glare disturb our eyes, creating discomfort and lower visual acuity. They can come from all directions and different sources (headlights, traffic lights, street lamps), turning the driving experience into an inconvenience more than a real pleasure. Protect Your Eyes Against Digital Eye Strain with New Eyezen™+ Lenses!Designed for the way you see the world, taking care of your eyes from the harshness of modern life. They reduce strain from viewing digital devices so you can focus on what matters to you. It’s a real see good, feel good story. 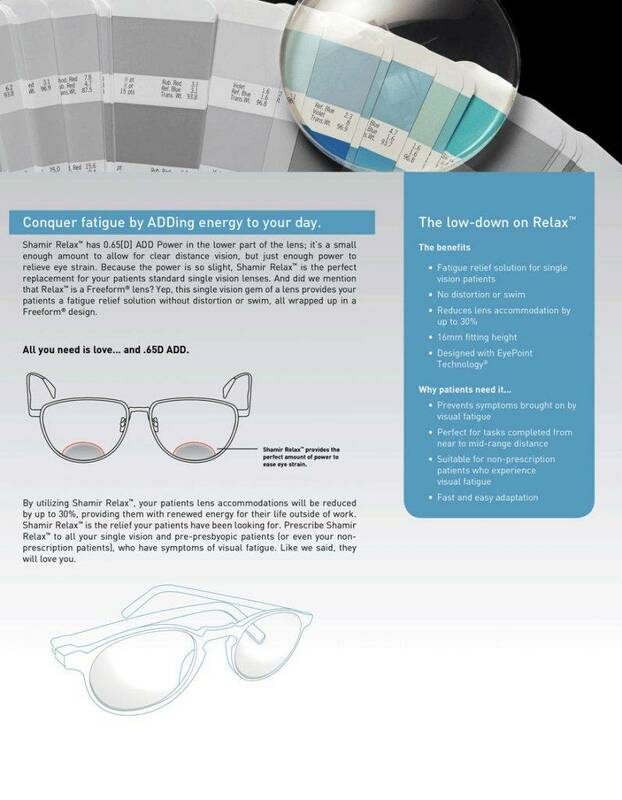 Eyezen+ lenses utilize Essilor’s Smart Blue Filter™ feature, which reduces exposure to Harmful Blue Light coming from devices, inside lighting, and even the sun. More about Eyezen. There’s a better way to see the world. Xperio UV™ polarized prescription sun lenses virtually eliminate blinding glare so you can see the outside world with sharper color and greater depth. Customize your Xperio UV™ lenses with any frame, lens color, and prescription. * E-SPF® is a global index rating the overall UV protection of a lens. E-SPF® was developed by Essilor International and endorsed by 3rd party experts. A lens rating of E-SPF® 50 means that an eye protected by the lens will receive 50 times less UV exposure than an unprotected eye. Transitions Optical, Inc. has developed the world’s most advanced photochromic lens technology—the ability of a lens to darken in the presence of invisible UV light. Transitions® lenses are the #1 brand of photochromic lenses recommended by eye care professionals worldwide. Today’s Transitions® offer you more choices than ever before – choices that keep you comfortable and keep your eyes healthy. Innovative photochromic technologies result in unparalleled lens performance in nearly every lens design and material, including shatter-resistant lenses, bifocals, trifocals, progressives and standard and high-index materials. Hello, world, goodbye glare. Thanks to breakthrough technology, new Transitions Vantage lenses don’t just adapt to changing light, they also polarize as they darken. Outdoors, the polarization adjusts to match the level of outdoor glare, which can vary as the day progresses and conditions change. That means you see life in the best light with less glare for better clarity and color. Click here to use the Transitions® 360° Virtual Viewer and experience life through Transitions® lenses. Click here for lots more information about Transitions® lenses! Single vision lenses have the same focal power throughout the entire lens and can be used to correct myopia, hyperopia, and astigmatism. 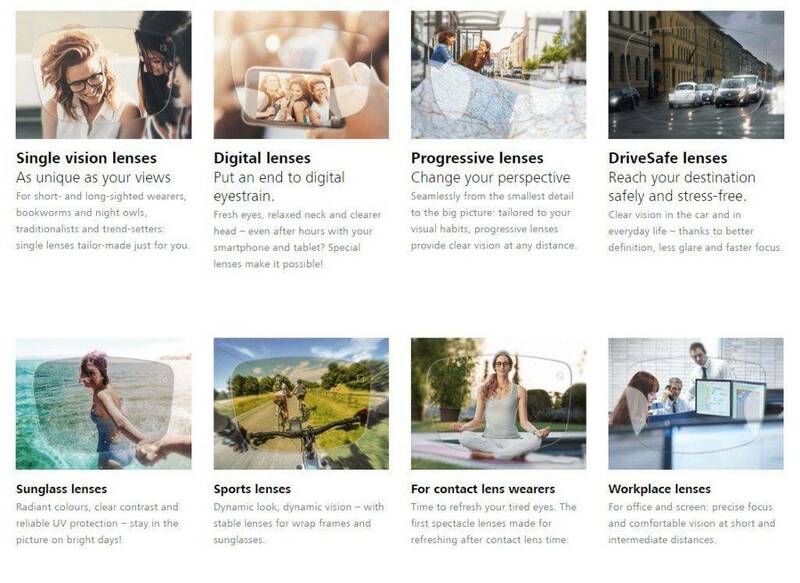 Nikon provides a wide range of single vision lenses that will not only meet your needs but offer you the utmost in cosmetic appeal. 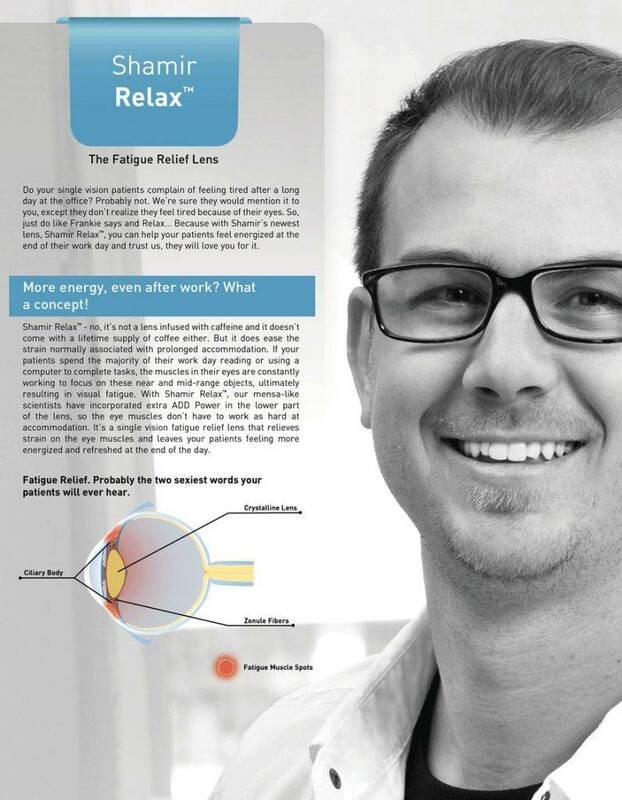 SeeMax lenses are recommended for wearers with astigmatism and contact lens wearers. They incorporate Nikon unrivaled expertise in the optical system to create a lens that delivers unsurpassed visual performance across the entire surface of the lens. Distortions on the periphery are reduced significantly. Nikon lite AS are recommended for low to middle prescription wearers. All Nikon Single Vision Lenses feature Nikon's Advanced Aspheric Design for sharp clear vision with limited peripheral distortion and very good aesthetics.